DREAM THEATER - BLACK CLOUDS & SILVER LININGS VINYL (2LP) | Online Shop | Wizard LTD. 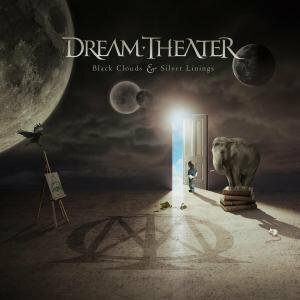 Album: "BLACK CLOUDS & SILVER LININGS VINYL (2LP)"
Dream Theater returns with their 10th studio album and latest progressive metal masterpiece Black Clouds & Silver Linings. The album finds the much-imitated, never duplicated band in a particularly adventurous mode this time around with 6 new songs and over 70 minutes of new music! Drummer Mike Portnoy and guitarist John Petrucci are once again at the helm as producers, while Paul Northfield mixed the record. Audiophile quality 180g Double Vinyl Set pressed in Germany.